Pediatric Urology - Patrick O'Hollaren | Abdominal Surgery, Gastrointestinal Surgery, Hernia Surgery | Get Information, Contact, Schedule Appointment | Pacific Surgical-General Surgery & Pediatric Urology Serving Portland, Beaverton, Wilsonville, OR - Pacific Surgical P.C. 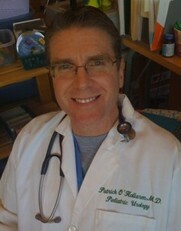 Dr. Patrick O'Hollaren is leaving our practice. Effective November 1st, he'll be joining the Pediatric Specialty Clinic at Providence St. Vincent Medical Center. To reach Dr. O'Hollaren, please call (503) 216-6050.